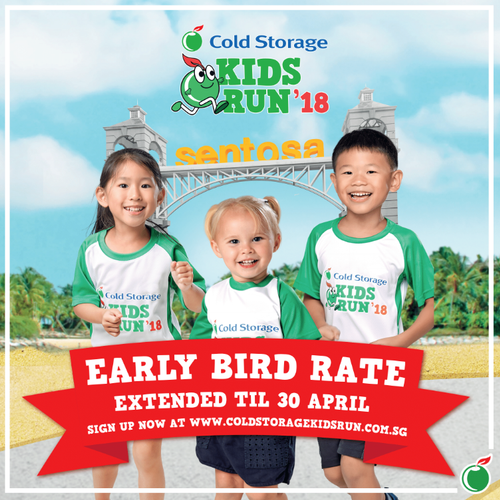 Cold Storage Kids Run may be the upcoming event you’re looking for. Good news, the deadline for the early bird sign ups has been extended! Enjoy special discounted rates when you sign up before 30th April, and look forward to a fun-packed day with your family on 20th May! New in this year’s run is the exciting Appleton Besties Trail, now also open for teams of 2, where kids can learn about nutrition whilst completing simple obstacles and activities together with their siblings or best friends! Don’t wait! Sign up for the early-bird rates, so get those fingers clicking now!